It starts out easily enough: Combine one-part water with one-part granulated sugar, boil until dissolved, chill. But little do people know, simple syrups can be as varied and diverse as any other foodstuff. 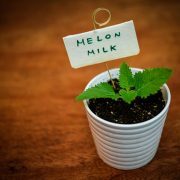 By mixing in spices, herbs, fruit—truly anything your little heart can imagine, you have instant flavoured sweetener. And it’s not just for cocktails. Drizzle on a simple butter-rich pound cake for a seasonal flavour boost, add a splash to whipped cream for sweet spice, stir into your morning coffee or tea to cut out the overpriced coffee chains, or, yes, use it in cocktails for a tinge of sweet flavour. 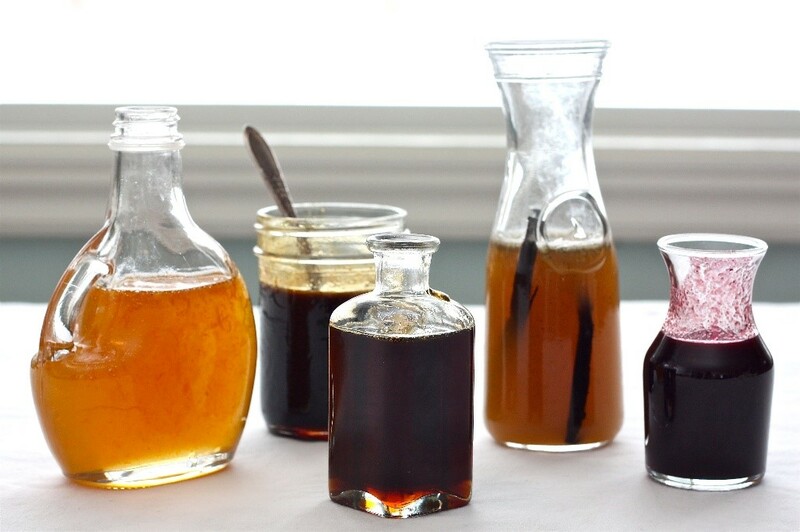 Here are some simple syrup recipes for you to put into good use. Rose’s Luxury in Washington, DC makes this sprightly, pretty cocktail, a mix of rye, rose-tinged simple syrup, fresh lemon juice, and bitters. Make the simple syrup: In a 1-qt. saucepan, stir the sugar with 1⁄3 cup water and bring to a simmer over medium heat. Cook, stirring, until sugar dissolves, about 2 minutes. Remove from the heat and stir in the rose extract. Let cool completely. In a cocktail shaker, combine the whiskey, syrup, lemon juice, and bitters with ice. Shake vigorously, and strain into a chilled rocks glass. Garnish with rose petals. The ultimate in freshness, use this syrup to sweeten lemonade, tea or even whip it into cream for a dessert topping. Combine sugar and water in a small saucepan. Boil until sugar is fully dissolved. Pour the syrup into a heatproof container filled with hand-crushed mint. Cover and refrigerate for 8 hours or overnight; strain and discard mint. Mint syrup will keep for up to 3 weeks in the refrigerator. Tart blackberries and floral dried lavender marry in this syrup, perfect for mixing into cocktails such as a gimlet or French 75, or with sparkling water for homemade soda. In a small saucepan, bring the blackberries, sugar, lavender, and 1 cup water to a boil over high heat. Reduce the heat to medium-low and cook, stirring to crush the berries, until slightly reduced, about 10 minutes. Pour the syrup through a fine sieve into a bowl and discard the solids. Transfer the syrup to a bottle and refrigerate before using. Fragrant chamomile flowers and lemon peels marry in this syrup, perfect for mixing into cocktails such as brandy smash or a Collins, or with sparkling water for homemade soda. Using a vegetable peeler, peel the zest of the lemon into strips and place the strips in a small saucepan along with 2 cups water and the chamomile. Bring to a boil over high heat and then remove from the heat and let stand for 10 minutes. 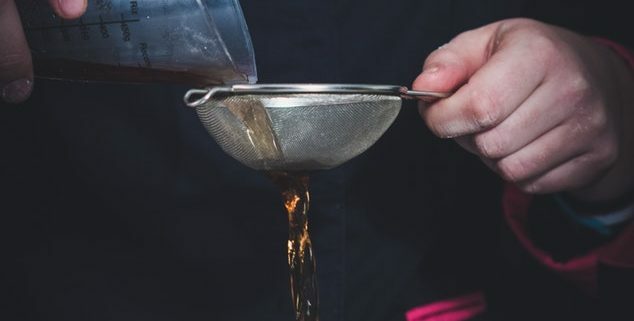 Pour the syrup through a fine sieve into a bowl, discard the solids, and stir in the sugar until dissolved. Transfer the syrup to a bottle and refrigerate before using. Bored of using simple syrup or off-the-shelf ones? Try making your own exciting ones today! 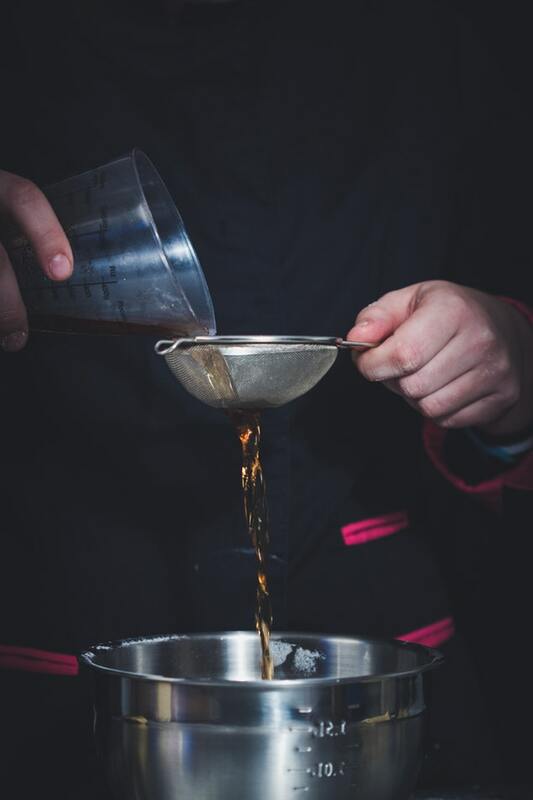 At Mixes From Mars, homemade syrups are something that we use in nearly all our events as we are able to control the intensity of the flavours that we desire for us to make your event cocktails that will meet all your expectations. From homemade floral syrups such as hibiscus to bluebellvine, to tea flavoured ones, homemade syrups are something that we pride ourselves in. Drop us an enquiry today to have great tasting cocktails specially prepared with our homemade syrups! 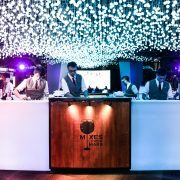 The delivery of premium and comprehensive mobile bar and drinks catering solutions for events of all scales.We also aspire to bring people at events closer to each other be it at a private party, corporate event, or large convention.